Apple’s (AAPL) iPad Mini has, for years, been my favorite tablet on the market. Its 7.9-inch display and lightweight design make it perfect for tossing in my bag to play games, watch movies, and check emails on the go without having to pull out my laptop. My own iPad Mini 3 has been a constant companion for years through work trips and weekends away from home. It even made the trek to Japan with my wife and me for our honeymoon last year. But that version of the Mini was originally released in 2014, and its successor, the Mini 4, debuted in 2015. That’s quite a long time to let the slate go without either updating it, or killing the line for good. Thankfully, Apple chose to give the little slate a shot in the arm with its new 5th-generation iPad Mini. 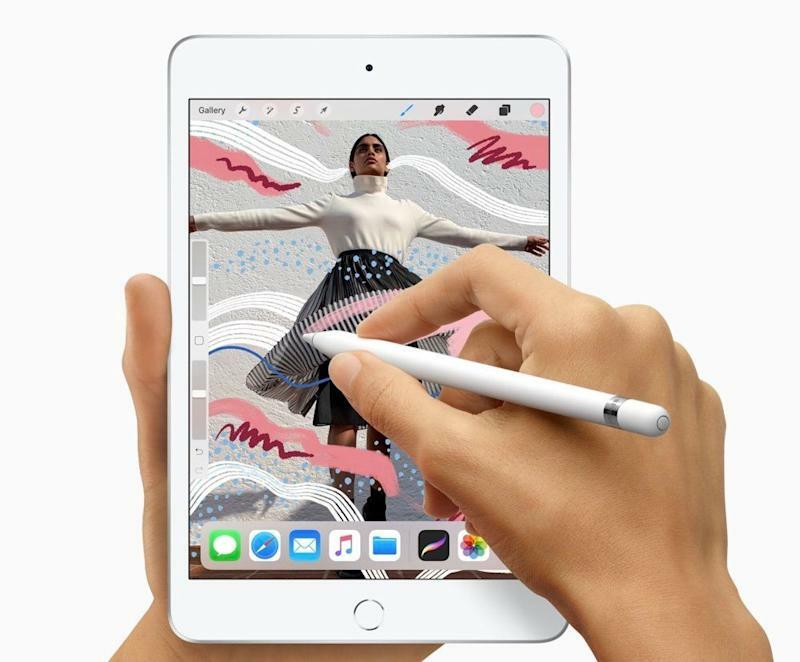 Simply called the iPad Mini and available now for $399, the slate features dramatically improved performance, a brighter display, and Apple Pencil support. And after spending a few days with it, I can say that the latest Mini looks like an easy replacement for my trusty tablet. Despite the roughly four-year gap between the launch of the Mini 4 and the new Mini, both slates look virtually identical. Would I have liked it if Apple upped the tablet’s design and outfitted the new Mini with an edge-to-edge display like its iPad Pro? Sure, but then the tablet’s $399 price tag would likely look a lot different. Besides, the Mini’s styling isn’t exactly unappealing. Still, looking at the tablet next to, say, an iPhone XS or XR makes the slate seem like an anachronism. It’s almost like getting a view of where Apple’s design team has been and where it’s going. Compared to the vast majority of tablets on the market, though, the Mini is still a design winner thanks to its sleek lines and rounded frame. Couple that with its sturdy build—my Mini 3 has survived more falls than I can remember—and you’ve got a slate that stands out in the category. The new Mini also gets an improved screen compared to its predecessor. It’s still a Retina display, but this time Apple has included its True Tone technology. That automatically adjusts the panel’s coloring to give you the best viewing experience depending on the ambient lighting around you. There is, however, the question of whether you need a 7.9-inch tablet if you already have a 6.5-inch smartphone like the iPhone XS Max. And while those two numbers look relatively close on paper, in real life, there’s a pretty significant difference between the XS Max and Mini. I was using TurboTax on the XS Max, and while the phone’s screen is certainly large, I felt like I needed the extra real estate of the Mini to better see the various lines and options in the app. And although I regularly watch movies and TV shows on the XS Max, the luxury of being able to pull out the Mini with its larger display makes the experience far better. Sure, you could say the same thing about the 9.7-inch iPad or the new 10.5-inch Air, but the Mini can also slide into my jacket pocket without issue. Inside, the Mini gets the same A12 Bionic processor found in the iPhone XR, XS, and XS Max. Its onboard neural engine means it can also take advantage of apps that use machine learning capabilities such as the new Pixelmator Photo app. I used an early version of the app, which uses the technology to improve your photos based on how professional photographers would improve their coloring and saturation, and it truly made my shots look better. Of course, the jump in processor performance also made apps far snappier in general. Launch times were cut down, and navigating data-heavy apps like Sony’s (SNE) PlayStation Vue was much smoother on the new Mini, especially compared to my Mini 3. Games, something I spent a lot of my day testing at the office, ran particularly well on the Mini. The performance certainly won’t match what you’ll find on the iPad Pro with its A12X Bionic chip, but the Mini was more than able to handle every app I threw its way. In addition to improving the Mini’s performance, Apple’s small slate now supports the Apple Pencil stylus. That means every new iPad is compatible with the Pencil, which at one point was reserved exclusively for the more expensive iPad Pro. 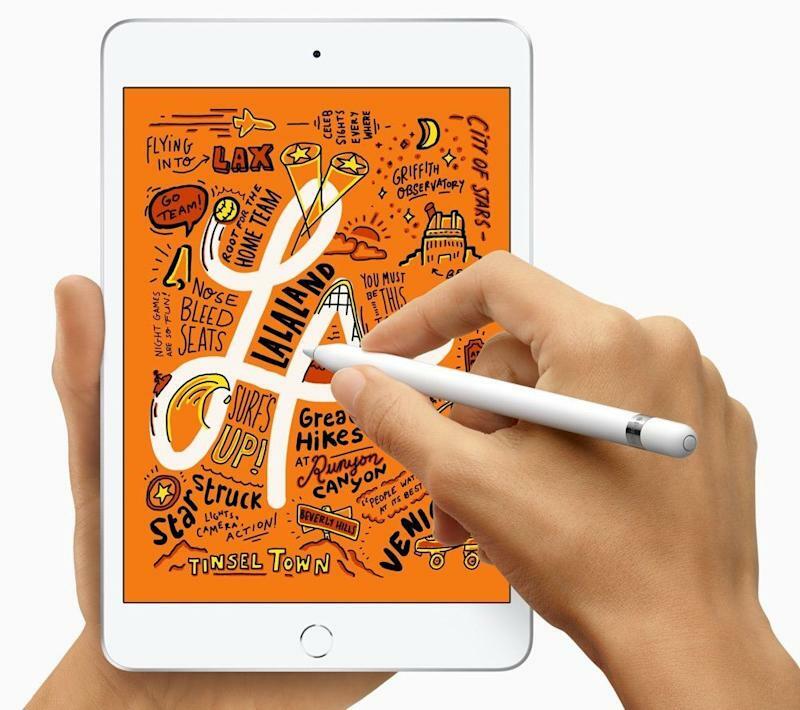 The Pencil still costs $99, which means unless you’re a graphic artist, sketch for a hobby, or take a good deal of handwritten notes, you’re not likely to pick up the stylus. That said, the Pencil offers the same precision and tilt capabilities on the Mini as it does on all other iPads. That’s especially important when you’re shading in a drawing, or when you’re bored during an office meeting and want to zone out without looking like you’re not paying attention. It’s also worth noting that using the Pencil on the iPad Mini’s smaller display feels more natural when taking notes than on a larger iPad. It’s more akin to writing in an actual notepad than on a big-screen tablet. Don’t expect to be able to use the second-generation Apple Pencil with the Mini, though. That stylus only works with the latest iPad Pro. But the only thing you’re missing out on with that stylus is wireless charging and its ability to magnetically attach to your tablet. As for battery life, I squeezed more than three days of on-and-off usage out of my test Mini. That included playing games, browsing the web, streaming music, and watching videos. Apple estimates that you’ll see all-day battery life if you use the iPad Mini nonstop. However, that also depends on your device settings and what you’re doing on the tablet. In other words, don’t expect to play high-quality games or stream movies all day without running down the battery quickly. The iPad Mini falls into a strange place in Apple’s tablet lineup. 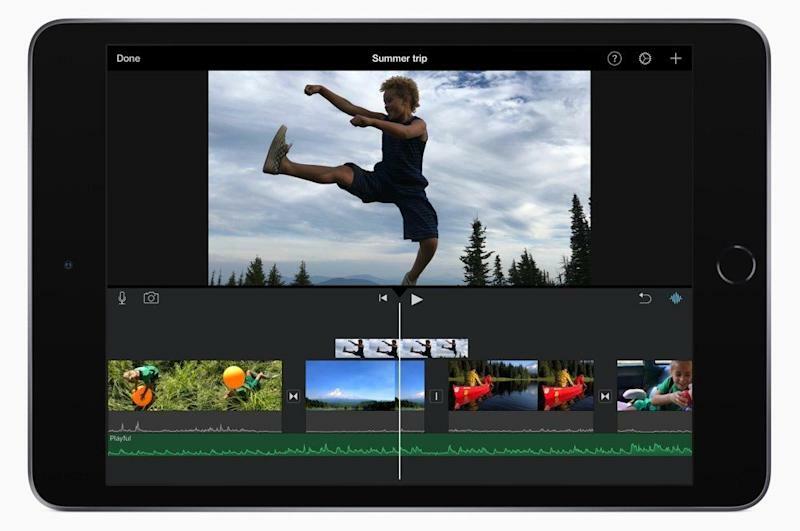 It’s the smallest slate, but at $399, it’s more expensive than the standard iPad, which costs $329 but has a slower processor than its diminutive stablemate. Then there’s the $499 iPad Air, which packs as much power as the Mini, but sports a far larger, 10.5-inch screen. And above those you’ve got the 11-inch and 12.9-inch iPad Pro. For the average consumer looking to snag a new iPad on the cheap, the standard $329 model is the likeliest choice. The Air will be the model for people who want a large screen device with plenty of performance, but don’t want to opt for the far more expensive Pros. That means chances are the Mini is unlikely to see the same level of sales as the $329 iPad or Air. But for fans of the Mini, this long-awaited upgrade is worth the price of admission.